A proven leader in the world of cancer care, Mara Bloom, executive director of the Massachusetts General Hospital (Mass General) Cancer Center, rarely sits still. 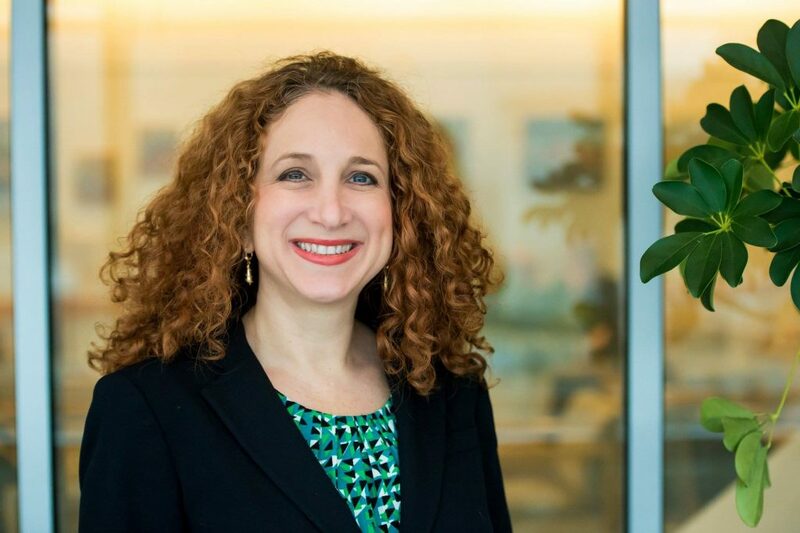 Celebrated for her passion and nonstop energy, it’s not uncommon for Mara to fit 50-plus meetings into 60-hour work weeks, during which she tirelessly helps her colleagues and teams to advance next-generation paradigms of cancer care. In her role, she oversees all clinical and research operations at all Mass General cancer facilities, including the main campus and satellite and affiliate sites. We were extremely grateful that Mara recently took time from her busy schedule to share remarkable expertise and ideas around the future of cancer care and cancer centers. Thank you so much for your time today, Mara. I want to start at a high-level and ask what trends you anticipate in the next five to 10 years that will most dramatically change cancer care, and then any thoughts you have on how that will impact care facilities. When it comes to care delivery, there are really three trends that will catalyze the most change. Let’s start with immunotherapy. Immunotherapy (treatments that amplify an immune systems ability to fight cancer cells) has been around for some time, but early efforts were mixed. Now, immunotherapy is back with a vengeance. The most common type of immunotherapy in cancer involves checkpoint inhibitors, drugs that help the immune system respond more strongly to a tumor. Checkpoint inhibitors don’t target tumors directly but actually, interfere with the ability of cancer cells to avoid immune system attack. There are other types of immunotherapy, like adoptive cell transfer, etc., too. While immunotherapy is proving effective, it affects all patients differently. One might get a rash; one might have respiratory issues; one might get a headache. This is very different than chemotherapy treatment where doctors can predict and outline the exact symptoms patients can expect. So now, from a care and facilities perspective, we need an entirely larger team to help treat immunotherapy patients who may come to urgent care or emergency departments (ED). Cancer centers often don’t have the bandwidth in their outpatient settings to accommodate this depth and range of treatment, nor do we want them going to the ED. We need new flexible spaces to help, and we need to consider new options like 23-hour care units to treat these patients and effectively keep them out of the ED. At Mass General, we’ve launched a Severe Immuno Complications service (SIC) for immunotherapy-compromised patients that require care and need to be admitted but can’t be managed in outpatient or ED. This service unites a team of specialists, such as GI, pulmonary, dermatology, cardiology, interventional radiology, etc. The space to host this service is something very different than just having a cancer unit. It’s essentially having an Immuno-Oncology (I-O) unit with experts and dedicated nurses specialized to treat these patients in all different ways. That’s remarkable information about immunotherapy, and you referenced two other trends that you see having dynamic impact on the future of cancer care. Another important trend is growth in cellular therapy, specifically CAR T-Cell treatments, where a patient’s T cells are actually genetically re-engineered in the laboratory and then reinfused in the patient to more effectively attack cancer cells. This is another treatment option that is saving lives and exciting in its effectiveness, but it’s not for everyone. Even when effective, CAR T treatment requires an inpatient length of stay (roughly 21 ALOS) and can leave patients with challenging side effects like neurotoxicity. In the future, it is our hope that more CAR-T regimens will be administered in the ambulatory setting as manufacturers are focused on developing products with less of a side effect profile. With CAR T growing in effectiveness and use, we’ll have to shift how we handle these patients. The CAR T process is very similar to bone marrow transplants, and similarly requires a specialized cellular therapy processing laboratory and apheresis capabilities. As cellular therapy products continue to evolve we will need flexible in-to-outpatient spaces given the needs of patients. Additionally, I think that’s the model CAR T is headed toward. Building on this, right now CAR T isn’t widely available, but there are already off-the-shelf CAR T treatments being tested that will most likely make this much more scalable into the future. We also can’t forget about targeted therapies, where we’re using small antibodies to block the growth and spread of cancer by interfering with molecular targets that are involved in how cancer grows and progresses in a patient. You may not hear as much “buzz” about targeted therapies, but they are still being developed and are an important part of cancer therapy. What’s interesting about targeted therapies is they’re mostly oral and patients who rely on them don’t visit a clinic or infusion center as frequently. So, the responsibility then shifts a bit more toward the pharmacist to provide space for consult, telemedicine and symptom management. On the flip side, we’re also realizing a rise in combination therapies in an effort to personalize treatment for a patient’s specific genomic profile. In this model, a patient could receive a targeted therapy in combination with chemo or immune therapy. These combination treatments are generally administered in the infusion center due to the need to monitor patients closely. Why do you think we’ve heard more about immunotherapy and CAR T compared to these other treatment possibilities? I think everyone is most excited about the concept of a cancer treatment that uses drugs or the body’s own t-cells to rev up the immune system to fight off the cancer. If you think about it, what blew the door open with targeted therapies was genotyping, specifically how that let us study patients’ tumor and then select the best drugs to help that patient. At Mass General Cancer Center, we are trying to do the same thing for immunotherapy and are researching the ability to create immunoscoring of tumors which would be similar to genotyping. It leverages identifying immune burden in a patient’s given cancer to determine the immunogenicity of a tumor so we can understand if immunotherapy will work. These capabilities alone are generating the buzz around immunotherapy – and more and more we’re just moving to more personalized and precision medicine. We’ve essentially talked about innovation in treatment possibilities for cancer patients so far, but are there breakthroughs we should note that impact those who don’t yet have cancer? Early detection is huge, and in my opinion, it’s the fastest growing area in the cancer center. There are new technologies like circulating tumor cell tests that allow us to take a patient’s blood sample to determine if they have any potentially cancerous tumor cells circulating in their body. They can pick out one cell out of a billion healthy ones. As this develops, it is our hope that one day these tests can be used the same way blood tests inform your doctor about your cholesterol levels during your annual physical and we would identify more cancer patients before they were patients. Other tests like CT-DNA which detects DNA fragments in the blood are already being used as part of the cancer care paradigm. Early detection plays out beyond just new technology, too. More and more centers now have lung screening centers that are similar to breast imaging and detection centers. I’d love to see these screening centers become more prevalent and more connected in the future. There’s value in having good connectivity between radiology and cancer teams when detection occurs. Patients also need access to interdisciplinary teams, like a nodule clinic, to help patients determine if their nodule is cancerous, benign or whether it needs to be watched. Integration of primary care is important, too. My dream is that every cancer center, including our community-based sites, has full access to cancer prevention and wellness capabilities. People without cancer come for certain tests, just as current cancer patients come from treatment. Maybe we could have different entrances, but it’s all happening under one roof – and it’s all as highly connective and collaborative as possible. Any challenges you see coming to cancer care or cautionary advice you’d offer your peers? We can’t lose sight of supportive care services and survivorship. At Mass General, we have a huge research engine integrated into our care spaces that have proven to be a home run. Academic cancer centers need dedicated space for research on this level. As the pace of change and innovation continues to accelerate, we see patients living longer on cancer and many patients will go on multiple clinical trials targeted to their genetic profile. This is very exciting, but it means that patients are living with cancer and it is our job to help them thrive! There are so many services that are crucial to comprehensive cancer care spanning nutrition, palliative, psychology, social work and numerous other specialties. These are the groups that I feel are always getting squeezed out of the cancer center. I understand limited real estate and tightened budgets demand revenue-generating spaces, but there is such value in having support care services in a cancer center. Whether it’s finding a way to dedicate rooms for healing gardens, support group meetings, yoga, inspiring art collections, meditation or even creating flexible space where these activities can be offered at various moments in a day or week. Beyond helping patients, support care services really mold the patient experience. Many patients and families find comfort in the community and connections that they make in the cancer center – the cancer center provides a safe space for care and healing. When we do events and recognize our staff, it seems like it’s always the nutritionist, social worker, or massage therapist whom patients have voted for to receive the award. These people are as much part of the care family as anyone else, and we need new solutions that keep them in the cancer center and not buildings and blocks away. Last but not least, we need to leverage technology, including telemedicine and digital health, as a way to improve the patient experience and empower patients. We are currently using telehealth for virtual visits and genetics counseling but there is so much opportunity on the horizon.